Experiencing Iceland on your own in a rental car is a fantastic way to travel. 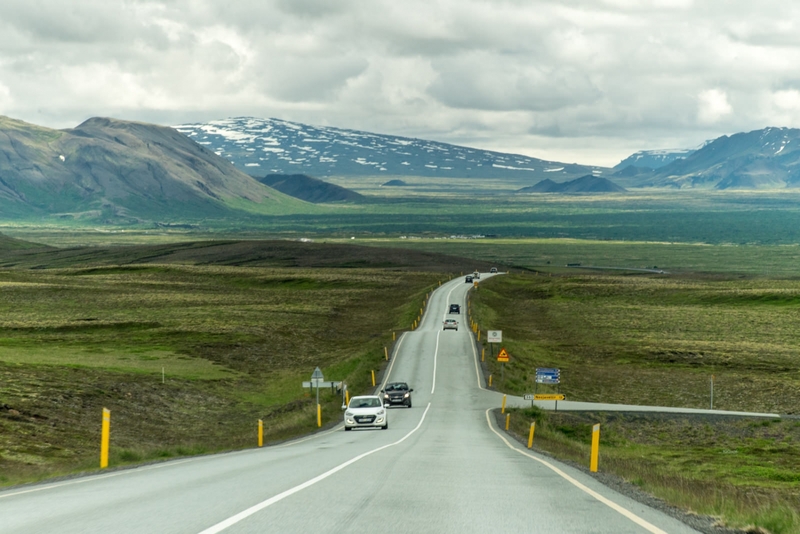 However, before you set out to explore this mysterious country, there are few basic things you should know about driving in Iceland. You might think that it's like driving anywhere else, but you would be wrong about that. Before you set off, especially in wintertime, make sure to check the weather and the road conditions. Unlike many European countries, Iceland has a maximum speed limit of 90km per hour. In urban areas the limit is 50km per hour, but once you are out on the open road it's 90km on paved roads and 80km on gravel roads. No matter what the speed limit is, it's extremely important that you adjust your speed to the driving conditions. 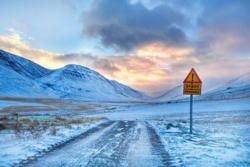 When driving in Iceland you are likely to encounter difficult gravel roads, sudden icing on roads, animals or otherwise tricky roads to drive. The Icelandic countryside is not free of speed checks. The Icelandic police keeps an eye on most of highway #1, and will pay attention to the most unlikely places. We recommend that you just relax the right foot and take in the magnificent scenery, It's much more exciting than speeding. If you decide to ignore our advice, you can expect at least a 450 euro fine, at least if you're caught 30km above the speed limit. That amount increases heavily for every 10km above that. 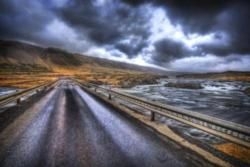 Road conditions in Iceland are varied, and can change dramatically in no time. Highway #1 is mostly paved, but other roads are likely to be all- or partly gravel. It's not uncommon for country roads to be narrow and steep with frequent potholes. VERY IMPORTANT: Slow down when passing other vehicles on narrow- and gravel roads. Be advised to slow down before you drive from paved roads to gravel, as it might affect your steering at high speed. If you see some sheep around you want to be careful. They wander the Icelandic country side and tend to cross the roads when they please. In the eastern part of the country there are also wild reindeer that sometimes cause accidents when they suddenly cross the roads. Note: Driving in Iceland can be tricky if you venture outside the capital area. 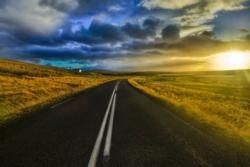 We highly recommend that you read the traffic authoritie's website before you head off on your adventures in Iceland.